The intelligent cloud and intelligent edge go hand-in-hand, and together they are sparking massive transformation across industries. As computing gets more deeply embedded in the real world, powerful new opportunities arise to transform revenue, productivity, safety, customer experiences, and more. According to a white paper by Keystone Strategy, digital transformation leaders generate 8 percent more per year in operating income than other enterprises. But what does cloud transformation look like within the context of the Internet of Thing (IoT)? Below I’ve laid out a typical cloud transformation journey and provided examples of how the cloud is transforming city government, industrial IoT, and oil and gas innovators. For a deep dive on this very topic, I hope you’ll join me and a whole host of cloud and IoT experts, and Microsoft partners and customers at the upcoming IoT in Action event in Houston. As mentioned, the cloud is a vital piece of IoT. Below I’ve outlined a typical cloud journey. Embrace an innovation mindset: The first part of the cloud transformation journey—and this applies to digital transformation in general—is building a culture and mindset that is willing to innovate, and welcomes change and the potential it brings. This must start with leadership. If leadership doesn’t set the example of an innovation mindset, it will be difficult to achieve buy-in internally. Clarify rationale for a cloud move: Typically, these reasons are plentiful such as cost savings, greater availability, and better performance. Understanding rationale from a strategic standpoint and aligning with your overall business goals can help you focus your efforts and find the right cloud fit. Determine which applications to modernize and migrate: Prioritizing applications and determining which ones need to be migrated is also key. Migration is an opportunity for modernization of the IT ecosystem, which can ultimately save time and money. Making a prioritized plan and budgeting for modernization needs is critical. Expect cloud usage (and costs) to rise: After the initial migration, cloud consumption typically increases. Due to easy access and relatively low-cost, developers and administrators will consume more resources, developing new applications and solutions. But then it levels out: As an organization gets a clear understanding around its actual cloud consumption, it will be able to prioritize its workloads, bring some workloads back on premise, and negotiate pricing models. Implementing governance processes will help to control costs and ensure optimal performance. Below I’ve included a few snapshots that show how the cloud transformation journey is paying off for city government, manufacturers, and the oil and gas industry. What do flood detection sensors, firefighting drones, transit wi-fi, and smart water meters have in common? They’re cloud connected. Houston is on a mission to connect its citizens to the city and the city to its citizens. In the wake of massive Hurricane Harvey destruction, the city is doing more than just rebuilding: it is working to become safer, more resilient, and more connected. To that end, the City of Houston is working with Microsoft and Microsoft partners to leverage cloud transformation and build repeatable, IoT solutions that span transportation, public safety, disaster recovery and response, connected neighborhoods, smart buildings, and more. A shared vision and strong collaboration from city leaders have been crucial to the success of this massive undertaking. Learn more about the Microsoft and Houston initiative for details around how Houston is embracing cloud transformation to take care of its citizens. Industrial organizations are also leveraging digital and cloud transformation. By combining cloud with IoT, manufacturers are able to streamline, increase productivity, and predict issues before they happen. They’re even able to offer new service lines. Rolls-Royce is a fantastic example of a manufacturer that has embraced cloud transformation to create a valuable service that helps its customers minimize costly delays and maximize fuel efficiency. With more than 13,000 commercial aircraft engines in service worldwide, Rolls Royce uses data from equipment sensors to help airlines predict and plan for maintenance needs and increase fuel economy. A shifting competitive landscape, price volatility, technology, and other factors are reshaping the oil and gas industry. Areas of transformation include field empowerment, operations, and industry innovation. Foundational to success is digital transformation. XTO Energy, a subsidiary of ExxonMobil knows firsthand the importance of digital and cloud transformation. One of the challenges they faced was that the existing infrastructure where they have major holdings didn’t lend itself to collecting data. Recognizing the need to modernize and use data to drive better decisions, they deployed a series of intelligent cloud and intelligent edge solutions that have helped them keep tabs on well heads. Using the Microsoft Azure platform and Azure IoT technologies, they collect, store, and analyze data, giving XTO Energy new insights into well operations and future drilling possibilities. The intelligent cloud and intelligent edge present powerful opportunities across industries. 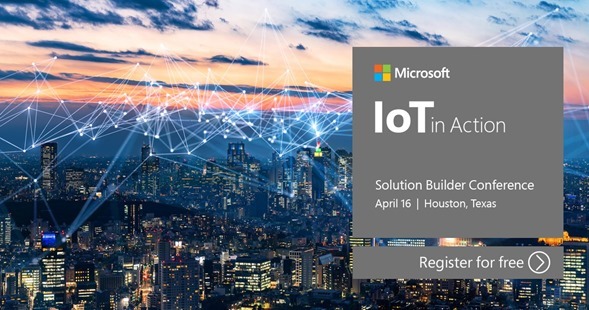 Please join us for a one-day IoT in Action event in Houston. This event is a unique opportunity to explore innovative, scalable IoT solutions that enable cloud transformation across industries – from city government to industrial IoT solution providers and oil and gas innovators. It’s also a great way to connect with experts and network with other Microsoft partners and customers to explore opportunities around the intelligent edge and intelligent cloud. The Heroes of the Cloud are in danger and Container saves the day with a great idea to rescue Nano Man and control the giant monster app! Pre-tested and ready to stream your media library directly to customers.